Summary: Researchers reveal the role glial cells play in the sensation of pain. Source: Medical University of Vienna. The sensation of pain occurs when neural pathways conduct excitation generated by tissue damage to the spinal cord, where the nociceptive information is extensively pre-processed. From there, the information is transmitted to the human brain, where the sensation of “pain” is finally created. This is the general belief. However, researchers from the Division of Neurophysiology at MedUni Vienna’s Center for Brain Research have now discovered that pain is not just a matter of nerves but that non-neuronal cells, the glial cells, are also involved in clinically relevant pain models and their activation is sufficient to amplify pain. The study has now been published in the leading journal “Science”. Glial cells are the commonest type of cells in the human brain and spinal cord. They surround neurons but are distinct from them and play an important supporting role – for example, in material transport and metabolism or the fluid balance in the brain and spinal cord. At the same time, however, when they are activated – by pain processes, for example ­– glial cells are themselves able to release messenger substances, such as inflammatory cytokines. Glial cells therefore have two modes: a protective and a pro-inflammatory mode. 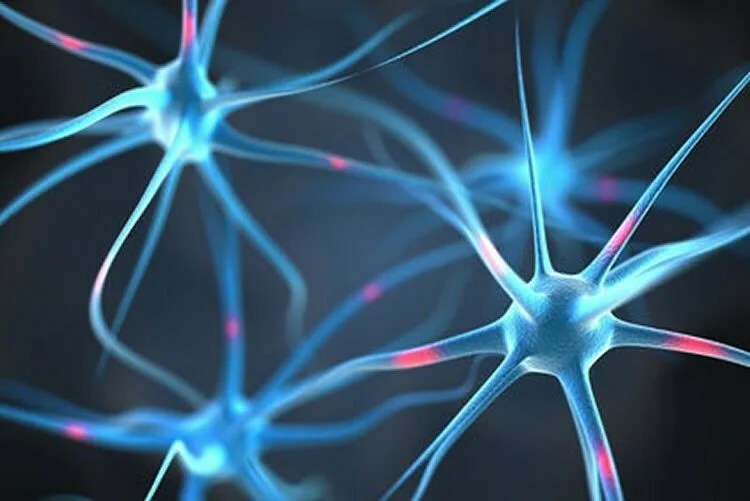 “The activation of glial cells results in a pain-amplifying effect, as well as spreading the pain to previously unaffected parts of the body. For the very first time, our study provides a biological explanation for this and for other hitherto unexplained pain phenomena in medicine,” says Jürgen Sandkühler, Head of the Division of Neurophysiology at MedUni Vienna’s Center for Brain Research. Over-activation of glial cells in the spinal cord can, for example, be caused by strong pain stimuli from a wound or surgical intervention, or even by opiates. Neurosciencenews image is adapted from the Medical University of Vienna press release. Image Source: This NeuroscienceNews.com image is adapted from the Medical University of Vienna press release. Medical University of Vienna. “Pain is Not Just a Matter of Nerves.” NeuroscienceNews. NeuroscienceNews, 11 November 2016. Medical University of Vienna. “Pain is Not Just a Matter of Nerves.” http://neurosciencenews.com/neurons-pain-amplification-5489/ (accessed November 11, 2016). Learning and memory formation involve long-term potentiation of synaptic strength (LTP). A fundamental feature of LTP induction in the brain is the need for coincident pre- and postsynaptic activity. This restricts LTP expression to activated synapses only (homosynaptic LTP) and leads to its input specificity. In the spinal cord, we discovered a fundamentally different form of LTP that is induced by glial cell activation and mediated by diffusible, extracellular messengers, including D-serine and tumor necrosis factor (TNF), and that travel long distances via the cerebrospinal fluid, thereby affecting susceptible synapses at remote sites. The properties of this gliogenic LTP resolve unexplained findings of memory traces in nociceptive pathways and may underlie forms of widespread pain hypersensitivity.